Hi Kim- I have the pens and pencils boxed up and ready to ship. 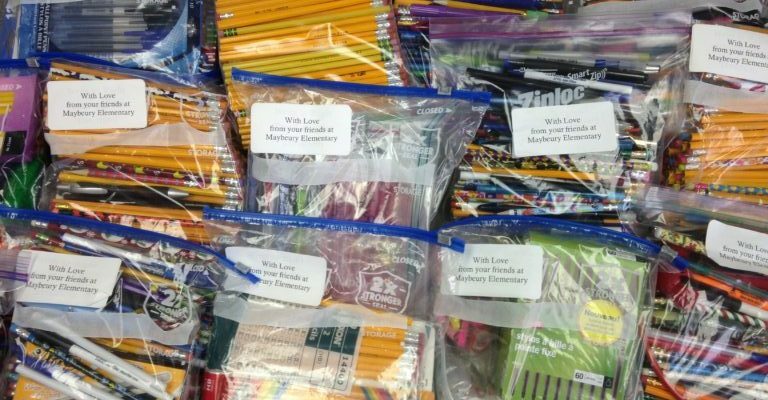 We are estimating that we collected over 1700 pens and pencils as well as some erasers. We SO enjoyed this charitable opportunity. I found that it is something even 5 year old children can relate to. We talked about how lucky we are to have pencils in our desk that we can use every day and what it would be like if we had to share one pencil for the whole class. My students were very enthusiastic about the drive and they did a great job of promoting it at home. The parents were very supportive and many went to Office Max or Staples and purchased whole boxes of pens or pencils to send in. We used our weekly newsletter to promote the drive and also mentioned it on our morning announcements. I am quite sure that our families would be more than happy to make this an annual event. I will share the faceebook page through our next weekly newsletter and ask the parents to like it so they can read more about the cause.